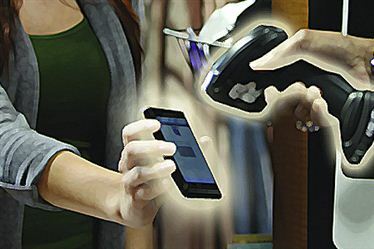 Mobile apps with integrated loyalty and rewards is boosting digital gift card spending — and restaurants are planning to invest in smartphone app and other mobile technology. Also in the news, the RPI reached a five-month high in November 2013, at 101.2. In his article for QSR Web, Jon Squire says that the launch of mobile apps with integrated loyalty and rewards has encouraged more spending on digital/mobile gift cards. For clients looking to invest in mobile platforms this year, it would be beneficial to discuss how gift cards fit in. Companies like Starbucks have seen success from stored value cards, which can be mGifted, can earn your client new customers, and can encourage repeat app usage. An app that integrates loyalty and rewards and promotes stored value cards could be an important strategy for your clients for 2014. According to the National Restaurant Association, more than half of full- and limited-service restaurants planned to invest in smartphone apps and other mobile technology in 2013. However, there are six priorities that must be accomplished to ensure a successful future of mobile commerce in the U.S. These six priorities include: standards development, transparency, cost efficiency, legacy rule limitations, payment security improvements, and mobile commerce advancement. The National Restaurant Association announced that the Restaurant Performance Index (RPI) hit a five-month high in November. The RPI rose 0.3 percent from October, reaching 101.2 in November. This is the highest its been since June. Operators attribute this increase to improving same-store sales and increasing customer traffic. A majority of restaurant operators (54 percent) also reported making a capital expenditure within the last three months. According to QSR Magazine, burger joints have been focusing on ways to incorporate online ordering into business. Even chains as large as McDonald’s have tested ordering capabilities via app to help ensure quicker customer service. These new services however, are daunting to businesses because of the staff training it involves and the overall effort to develop the service. Darren Tristano from Technomic says businesses looking into online ordering should invest in an app that is easily downloadable, free, and can securely store payment information. Making the app about more than just ordering will only help to boost convenience for customers. A Japanese company has begun to use QR codes to inform customers about where certain apples are from and how they’re produced, Japan Daily Press reports. These QR codes can provide consumers with information on how and where the apples were grown, along with a message from the farmer. This entry was posted on Tuesday, January 14th, 2014 at 2:48 pm and is filed under Gift Cards, Loyalty/Rewards Programs, Online Ordering, Technology, Technology. You can follow any responses to this entry through the RSS 2.0 feed. You can leave a response, or trackback from your own site.